Fairies, dragons and unicorns make their debut on our line of side tear checks. Unique dragon tattoo designs add more interest in this personal check category. Make your check writing a little more fun with these whimsical and beautifully painted fantasy life creatures. Dragons seem to capture the attention of the old and the young. Friendly dragons fly over these fun, Gothic style checks. Not only are the artists extremely talented in this line of checks, but you'll save up to 70% off standard bank check prices. With easy online ordering, your fantasy side tear checks are the cheapest checks around. 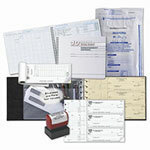 Enjoy our personal checks with matching checkbook covers.